Recent research conducted by the far-right Alternative for Germany (AfD) party on the first names and backgrounds of perpetrators of knife attacks did not give them the results the anti-Muslim and anti-migrant party members were looking for. The party asked police in western state of Saarland to release the most common names of criminals who carried out knife crimes in 2018. From January 2016 to April 2018, most crimes involving knife-wielding attackers were committed by German-origin nationals, the research revealed. Out of 1,490 criminal charges, German nationals were involved in 842, while Syrians were involved in 122 and other EU nationals were involved in 94 incidents. Not satisfied with the results, AfD assumed the figure representing German nationals was wrong as they claimed they include migrants who obtained German citizenship and asked for first names to be revealed. To their disappointment, police records revealed there were no Arab names in the top 10 list of knife-wielding criminals. The names in the database included Michael (24 cases), Daniel (22 cases), Andreas (20 cases), Sascha (15 cases), Thomas (14 cases), Christian (13 cases), Manuel (13 cases), Patrick (13 cases), David (12 cases), Jens (12 cases), Justin (11 cases) and Sven (11 cases). Furthermore, the police records also revealed that only 14 of the 842 German perpetrators hold another citizenship. It was not the first time the party received undesired results. Last year, the party ended up deleting a poll on Twitter asking "Is Islam part of Germany?" 85 percent of the voters answered "yes" while only 15 percent voted "no" in the survey voted by 40,000 users. 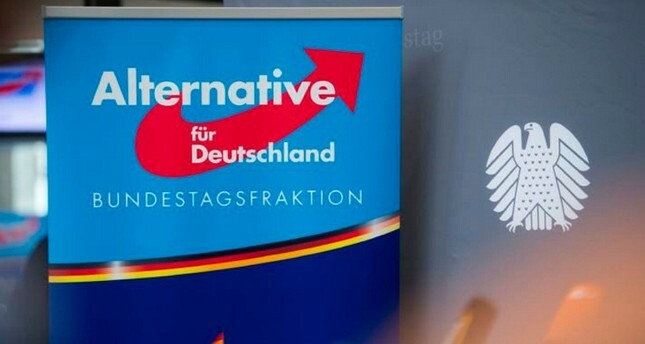 Founded more than four years ago as a euroskeptic party, the AfD has since lurched to the right, adopting a staunchly anti-Islam and anti-foreigner party platform. The AfD has enjoyed a surge of support in the wake of Chancellor Angela Merkel's controversial decision two years ago to open the nation's borders to refugees stranded in Hungary.